Why unlock your Samsung Galaxy S3 to use with a different SIM card? One possible reason is that you love your phone, but not your cellular provider because of the poor service or an unreliable connection. If you purchased a Samsung GS3 with AT&T, T-Mobile, etc. on a contract, it might be locked for a specific amount of time called the contract period. After the contract period, you may request your network provider to unlock your phone, but it's not as easy to unlock as you think. In the U.S., unlocking became illegal after January 26th, 2013. However, a new bill is in progress to make it legal again. To switch network providers, you need to first unlock your device. Many online websites or offline local stores can do it for a fee, but why pay if you can do it yourself? Here's the step-by-step guide to show you how to quickly unlock your Galaxy S3, any model. 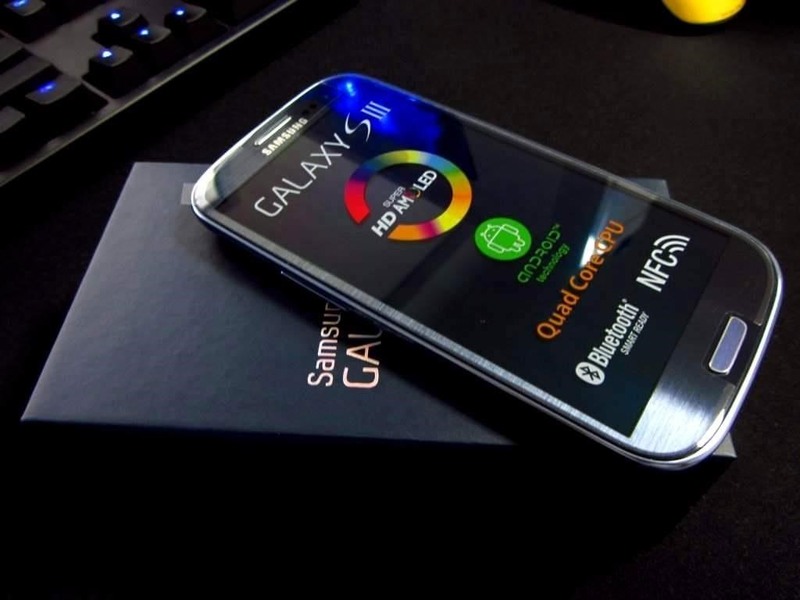 If you have a newer Samsung Galaxy S4, check out these step-by-step instructions for SIM unlocking it. Before start unlocking, make sure you have properly backed up your device. It's risky if you don't properly use the instructions or follow the steps one by one, so it's not my responsibility if something happens. Your phone must be running on Android 4.1.1 or later to successfully use this method. Check your device Android version by opening the Settings menu, scroll to the bottom, and select "About Device" and check your phone's "Android version" number. If your phone is not updated to Android 4.1.1 or higher, you can do it by selecting the next menu to "About Device," select "System Updates," and then click on "Check for Updates." Your phone will automatically looked for the update over the network. 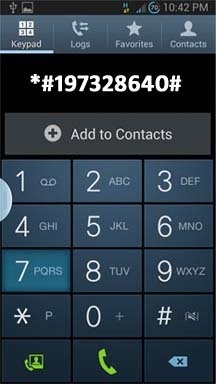 Open the dialer of your phone and enter the secret code *#197328640#—it will open the Service Mode Menu. In the Service Mode Menu, select  UMTS. Tap the menu selection on you phone's screen to select it. If you select the wrong option by mistake, press the MENU button of your device and select back. In the menu under UMTS, select the  DEBUG SCREEN. In the Debug Screen, select  PHONE CONTROL. 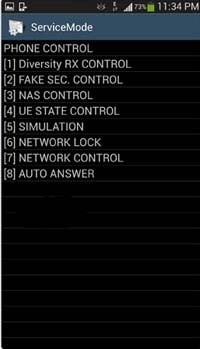 In the Phone Control Menu Screen, select  NETWORK LOCK. In the Network Lock Screen, select  PERSO SHA256 OFF and wait for 30 seconds. Then press the Menu button and select back. After going to back to main menu, select  NW Lock NV Data INITIALLIZ. Once you select NW Lock NV Data INITIALLIZ, kindly wait for almost one minute and then reboot your phone. Note you didn't receive any confirmation for the process. Insert the non-accepted SIM Card and power on the Phone. If your phone didn't ask for Unlock Code, it's permanently unlocked to use with any GSM carrier. You may have to downgrade your firmware version in order to let this method work. alternatively you can call your service provider and ask them for SIM unlock code without paying from your wallet. The only catch is that each service provider has few criteria which must be met before they give the unlock code for your device. If you do not meet the criteria required by your service provider, a third-party SIM unlock service for your Galaxy S3 is your only other option. Please note sometimes your device may need hard reset to perform unlocking. I just have a question about my gs3. It's from cricket. The phone says it is cdma,lte&evdo I think its evdo. Anyway, would this unlock procedure work with it to? It has two SIM card looking spaces in it. Thanks! Sadly, you cannot carrier unlock a CDMA Galaxy S3, use CDMA instead of GSM. I hav a Samsung galaxy s3 the android softwear says 4.1.2 I followed the link above to try and unlock it to any network but my displays come up different to the ones above. iv tried to follow the way it tells me to but it comes up with nums saying current coad is 186 can any1 help please??? The dial code works for my AT&T SGH-I747 S3. My ROM is the most current Samsung stock 4.1.2 update, baseband I747UCDMG2. But my NETWORK LOCK menu is different than the example. My menu item number 4 in NETWORK LOCK is "RAT FREE SUPPORITNG ON" (sic). I don't have the "NV Data INITIALLIZ" menu item, before or after selecting "PERSO SHA256 OFF". I've looked in all the other menus and submenus, but haven't found anything that remotely looks like "NV Data INITIALLIZ". The NETWORK LOCK menu item "1 PERSON SHA256 Info" says, "SHA256 ENABLE FLAG 0", which seems like the lock should be disabled, since 0 is usually "off/disabled" and 1 is usually "on/enabled". I also looked at the main menu item 4 "SIM" and found "CHECK NV". The CHECK NV output says, "Brand Pref: Unexpected value. RTRE Configuration: SIM based. FTM Mode: Online Mode. ENS: Enabled. UIM CLASS: UMTS." But when I inserted a Sprint SIM, I was still asked for an unlock code. Any ideas what I need to do next? why does this keep getting up-voted? 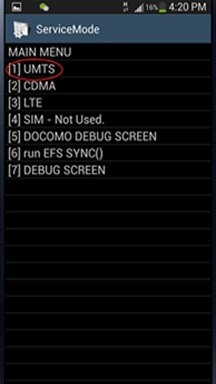 none of it is relevant to UNLOCKING an S3 on 4.1.1 ..
what to do next? install 4.1.1 or flash your baseband? because you cant unlock 4.1.2? lol.. I am getting all the menus. Except in the NETWORK LOCK MENU I don not have item 4. "NV Data INITIALLIZ". When 3 PERSO SHA256 OFF is selected "SHA256 ENABLE FLAG 0", & SHA 256OFF = > Not Change is on the menu. Can some one help me. i am also facing the above problem. Andriod version 4.3 is available on sg3 i747. Kindly help to unlock the sim. I've been very interested in having my phone unlocked so that I have the flexibility of saving money with the carrier of my choice. My current contract with Verizon doesn't expire until next year and I have no way of lower my rates under the current plans. Unlike it's competitors, Verizon is still keeping you locked in limited data plans unless you want to pay a higher rate based upon increased data usage. This is a change from the previous Unlimited Data option they use to provide. If you unlock your device are you eligible to keep your existing number or do you have to pay to keep it? Anyone know about this one? Well if your phone is with Verizon, it's CDMA, from what I know, it's still possible to unlock but with difficult methods. As for your phone number, you can keep it, but you would have to pay an ETF if you are still in contract. Some prepaid carriers, however, don't let you port in (transfer your number) so do some research before you do so. DON'T cancel your contract before moving to a different carrier or else you wont be able to keep your number. i have an identical issue that greg has. same make an model an carrier. We need a little help please. How can I confirm if my phone is CDMA or not? Any ideas on unlocking it if it is? You cannot unlock your CDMA Samsung phone as most CDMA devices do not contain the international frequencies that allow your phone to operate in other countries. With the comments posted I'm unclear as to whether my Verizon Samsung GS3 CDMA phone can be unlocked and used with another carrier. Also if I want to keep my number what is an EFT fee? Any idea of the amount of this fee? I have a Samsung GS3 through Sprint, will the step above unlock my phone so that I am able to use it on Metro PCS or Boost mobile networks? Hey can anyone tell me why after I type the code It goes straight to main menu. Ok there I can choose Debug Screen but as I told its main menu, not UMTS main menu. Anyway when i choose Debug Screen and follow instructions so after I choose Network Lock so then there is a text 'Menu not exist'. Anyone have same kind of problem? Some Samsung phone's firmware version does not support that code. I got a Samsung S3 LTE (Model: SHV E210L) from Korea. But in my country when I inserted a Bangladeshi sim, its still showing NO USIM. According to the above instructions, I putted the numbers #197328640# but there's nothing happened on the screen, if dialed, no network connection. I can't access the main menu, i'm trying to unlock a S3 from at&t. It's on the 4.2.2 version. I tried both code but it doesn't seem to access it. Any tips on how I could bypass this restriction? After I type the code It goes straight to menu, not UMTS main menu. Anyway when i choose Debug Screen and follow instructions so after I choose Network Lock so then there is a text 'Menu not exist'. any other way to get this menu? I have 2 AT&T I747 gs3 phones, one still on AT&T and one unlocked (well seems as it was unlocked) rooted both, installed modem and bootlader files, and 4.3 jellybean. The AT&T phone works but now the other says no sim, no network data, can still make calls and texts though with the other sim. The other sim is a family mobile sim (through T-Mobile networks). I'm getting all the options as above except mine are labeled differently too, my last option says rat free supporting on, and the other are perso labels. Help would be lovely could really use this other phone data. Thanks in advance. You either have to upgrade to 4.1.1 or downgrade to 4.1.1. Seems like it only works with that version, I was originally on 4.1.2 and was unsuccessful and downgraded to 4.1.1. Now my T-Mobile Galaxy S3 is running fine on AT&T's network. I don't find either the NV Data INITIALLIZ option in my phone (the menu gives only 3 options), do I have to downgrade to 4.1.1? given an unlocking code by Samsung through my provider (T-mobile), after paying in full my phone, but the code doesn't work....any suggestion? Not to sure why the code provided to you didn't work. How did you try to input the code? If your current provider is T-mobile and you have their T-mobile phone. To unlock it, you would have to insert another cell providers sim card and the phone would prompt you to input the code. If you did that, then I'm not to sure why it did not work. I requested a unlock code from T-mobile for my phone and was never given one, so that is when I did the 4.1.2 downgrade to 4.1.1 to unlock my phone. On 4.1.2, I was only given the 3 options like you, but when downgraded, I got the fourth one needed. BTW, just the other day, I updated my phone to 4.3 through the ota update and my phone still stayed unlocked. So I would definately suggest the downgrading method. Thank you Dave, I'll try to downgrade and unlock with 4.1.1 ( I just upgraded too to 4.3). Yes they provided an unlock code for me but did not work. I tried it with At&t, Verizon and the European Vodafone; to make sure I was not making any mistakes (difficult though seen the elementary process) I even tried a couple of time at my local T-mobile shop. I was told that the phone is defective and that they would replace it, but they don't guarantee a new product.....I'm disappointed and will try first with the method suggested here. One last question, do I really have to go through the process of backing up the data on my phone before or I'll lose everything? This only works with 4.1.1 GSM smartphones and I'd be careful trying to use any instructions to downgrade your unit. If you attempt to flash a stock ROM to your 4.3 version phone with ODIN it will instantly soft-brick. Hi, Interesting....I received the request to install Knox and I have the app icon ready that request installation and i regularly reject....does it mean that actually the risk of soft brick is already there or can I hope in a relatively harmless downgrade? M holding a 4GLTE Verizon Galaxy S3. I tried with the aforementioned instructions but its not working rather it mentions, "connection problem or invalid MMI code" I don't know what is the problem actually running through this system, please do let me know if anyone can help me save unexpected expenses. Thanks, This worked for me..
Rule of thumb is to back up the data because you will be doing a wipe on your phone and resetting it to factory specs. I am going to India next week.. looking for unlocking my samsung galaxy s3 fro AT&T.. I have not try above method, but after looking on comments here, just asking you is there any special trick needed in addition to above steps OR it worked perfect? Which carrier you used abroad? Hey Dave after 7th step in my showing The menu does not exist. These instructions are for GSM S3 phones. 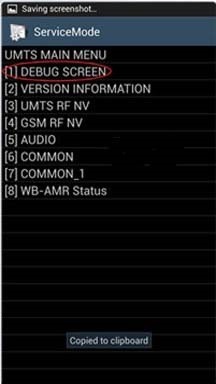 As mentioned in the above posts, CDMA S3 phones will probably require a different procedure. I have a T mobile phone which worked for me. Of course you don't, much like all the other people who don't.... as stated at least five times, because this is a 4.1.1 unlock. You dont have the right baseband to unlock your mobile. how do i downgrade my baseband so i can unlock my phone? It's a CDMA device, nothing in this thread will help you in any way..
hi I have updated my galaxy s3 to android4.3 jellybean firmware and it's network locked. i tried to unlock it using your method but however ,when i enter the code nothing happens on the phone. any suggestions? I upgraded to Android 4.1.1 and was able to get it unlocked using this method. It was an ATT locked phone that is now running on Tmobile. well i was just wondering what if i downgrade to get this unlock then upgrade back to 4.3 would still be unlocked or would lock back? I have a Samsung Galaxy s3 for T-Mobile. I changed my sim card about two months ago with another carrier and everything was fine then two days ago my phone started saying " no service " or " not registered on network" I'm not really sure if my phone is locked by T-Mobile or not since it was working with a different sim card for about to months before this happen. If my phone is locked how can I unlock it if I have the updated 4.3 version without messing up my phone? Please help! I have the exact same problem. My phone worked perfect for about 2 months and then one day it started acting weird. Didn't think much of it then the next day it said there was an update available. So I updated my phone and ever since I've gotten the "no service" "not registered on network" messages. I thought it might be my SIM somehow broke so I bought a new one today, activated it and nothing. Still the same messages. PLEASE HELP ME! i JUST PAID $300 FOR THIS PHONE AND NOW IT'S USELESS. I did all steps but I do not have "NW Lock NV Data INITIALLIZ" option in network menu. I only have 3 options. I have S3 I747 OS 4.3. any suggestion. 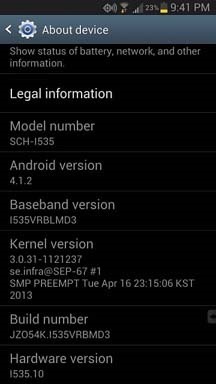 The fact is when you updated to 4.3 your baseband and bootloader were upgraded as well. There is no going back for you and thats a requirement in order for this to work. hey sorry everybody but I have to say this! Jimmy, you have the patience of a saint and I mean that. People need to read not keep asking the same question over and over again! PLEASE READ INSTRUCTIONS A COUPLE TIMES IF NECESSARY SO YOU DO UNDERSTAND SOMETHING, OTHERWISD DON'T DO IT CUZ YOU'LL MORE THAN LIKELY WRECK YOUR PHONE! CHEERS TO YOUR HELP AND THOROUGHNESS JIMMY!!!!. read me anyone using an android 4.3+ will never be able to do this. you must be using 4.1.1 or be able to revert to it. using a 4.1.1 ROM wont cut it.. you need to be able to revert everything.. including the baseband. edit: it is possible you may be able to flash an old baseband and unlock S3's but I haven't done it personally. i did however just do it on a samsung note. how can i do this method when the phone is disconnected and service plan is not up? "NW Lock NV Data INITIALLIZ" which leads you to a successful unlock process. Whether you have version earlier or later than 4.1.1, you need to either upgrade or downgrade your Android firmware. In my case, I have a Galaxy note 2 and its firmaware was 4.1.2. Because of its version, there was no menu like "NW Lock NV Data INITIALLIZ"
However, with a walkthrough from YouTube.com, I was able to downgrade 4.1.2 version to 4.1.1 which enabled me to bypass the SIM UNLOCK CODE SCREEN". Eventually, I now use my phone with a different service provider. In addition, it was possible to upgrade 4.1.1 to 4.1.2 again via Kies program and the phone did not ask me the sim lock. I guess that a phone with CDMA type such as Verizon may not be able to be unlocked with this procedure although not 100% sure. Please let me know where on youtube. I prefer visuals before attempting something like this. I have a Samsung Galaxy GS3 and my service with US Cellular is currently canceled and I want to use my phone to go over to Straight Talk. I have a SIM card slot and it's Android Version 4.1.2, but when I go to dial that "secret code" at the beginning, nothing happens. Could it be that US Cellular prohibits for their phones to be unlocked or is it because my service is shut off? Any feedback is appreciated! Thanks! Do you know if US Cell is GSM based? I thought it was a CDMA based network? Just to add my Samsung is s 3 and model gt 19300.android version 4.1.2.thanks please help me doing ma nut in..
Can someone please help me im totally stuck that's why i joined this website.??? If you are still running 4.1.2, you can flash your phone back to 4.1.1 and perform the unlock. You will need a 4.1.1 ROM for a gt-i9300 and odin. I am not knowledgeable about phones. I have a t mobile galaxy s3 t999. I followed the directions and downgraded it to 4.1.1 and the phone confirms this version. I followed the directions above but even with the downgrade it still doesnt give me option #4. Any suggestions? Hi .. I need help to unlock my sprint phone I enter the secret code but nothing happens please help me !!!! I need to unlock this phone soon !!!! i have a galaxy s3 4.3 through srint. no sim slot. i want to unlock it. the number u provided did nothing. please help????? B, you have a cdma device. My Galaxy S3 not reading de Sim Card... Help! After I type the code It goes straight to main menu, not UMTS menu. when i choose Debug Screen and follow instructions so after I choose Network Lock so then there is a text 'Menu not exist'. any other way to get this menu? yes of course it goes to the main menu, thats where it should go..
On a side note about unlocking Samsung devices.. I successfully unlocked the i717 running ICS tonight.. I managed to flash a UVLE1 radio from another model to an SGH-i717m via TWRP, fired it up..
waited a minute and hit back..
it said something to the effect of menu not present..
4,nw lock nv data initialliz and after about ten seconds it said something to the effect of "success"
Put in a foreign sim.. and no SIM pin required, radios functional. well see how that goes, but the unlock worked no problem. 100% confirmed first hand by myself. It's possible you may be able to apply this knowledge to unlocking an S3 as well (by flashing another baseband) but this is not for the faint of heart and may mess something up. good luck. It should also be noted, that once you perform this.. some users have reported their data no longer works. In event this happens, you must manually enter your Carrier APN settings.. which can be found just about anywhere. After I unlock it, cant make call, just can text, all the outgoing call switched to another random number. But I can still receiving call. Does this work a verizon galaxy s3? halloooooooooo.. i got a samsung galaxy s3 as a gift from the USA.. imk in South Africa... its on TMobile... I need to use a south african sim card .. how do i change to use ....... ? Hi, i need to know if i can use 3G network in Samsung galaxy S3 T-999 from T mobile out of united states, using this code ?? Ive succesfully unlocked my gs3 from at&t, but after that, cant use my data, cant connect to the internet. Anyone knows why? You can't use a boostmobile on straight talk or sprint or verizon or metro they are on a different type of signal, unless the phone is a world phone or dual gsm/cd a.
Hi. I have a Galaxy S3 through Alltel & cannot find anything that will help to unlock it, also a iphone 5c that needs to be unlocked also with them , they are in the process of changing over since at&t bought them and will be going to there service soon,. there is no slot for a sim card, just a sd card . running on 4.2 , any suggestions on the unlock for it ??? thanks. when i type in the dialer to open service mode it does nothing! Any ideas? Hello im trying to unlock my samsung galaxy s3. I have all the steps besidez when do I remove my original sim card from my phone? Hey I wants to try it but I have a concern, I do not have the old SIM card, can I still do it without it? it's not working on my s3.i have put in yhe secret code on my phone dialer,but nothinh happened.no menu or anything. When I get to step 9 I don't see the option to initialize anyone know why? does this technique works with Samsung galaxy A3? Don't know if anyone can help me, but here it is: I have the version 4.1.2. The code #197... does not take me to the service menu. It just tries to call that number. Please help. Ive got this phone and the carrier says that i must have a year's service with them to be able to unlock it.